Trident Media Group (TMG) is a prominent literary agency located in New York City. TMG represents over 1,000 bestselling and emerging authors in a range of genres of fiction and nonfiction, many of whom have appeared on the New York Times Bestsellers Lists and have won major awards and prizes. Contact agent Mark Gottlieb for submissions at MGottlieb@tridentmediagroup.com. Alliance of Independent Authors – ALLi’s always up-to-date book, Choosing a Self-Publishing Service, is an excellent, unbiased resource for new self-publishing authors. Contract Counsel – Legal advice on book contracts from lawyer and author David Vandagriff. 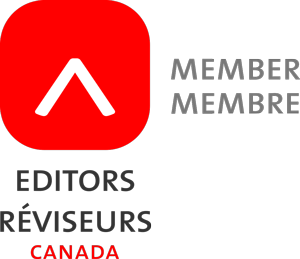 Medlicott Writers’ Network – A Canadian philanthropic literary arts initiative designed to celebrate and advance fledgling, debut, and published writers dedicated to creating stories that attract a reader’s respect and attention. MWN holds a biennial writing competition for new, unpublished writers called the Medli Award. Writer Beware ® is the public face of the Science Fiction and Fantasy Writers of America’s Committee on Writing Scams. SFWA and Mystery Writers of America are concerned not just with issues that affect professional authors, but with the problems and pitfalls that face aspiring writers. A wide variety of advice on self-publishing. Carla Douglas and Corina MacLeod provide excellent tips for writers wrestling with their words, with a focus on e-books and the new digital world of publishing. Greenleaf Book Group’s blog designed to educate and entertain the writing and publishing community with useful insights and fun commentaries. E-publisher BookBaby gives advice on how to write, self-publish, and market your e-book. Language in the digital age. Joanna Penn’s blog with resources to help you write, publish, and market your book. David’s blog contains a wealth of information about the pitfalls, perils, and pleasures of self-publishing and e-publishing. Blogs written by authors and marketing professionals who are dedicated to helping authors sell more books. Writing, reading, and publishing in the digital age. Book designer Joel Friedlander gives practical advice on how to build better books. Highly respected thriller author Joe Konrath blogs about the publishing industry and genre fiction. David Vandagriff’s blog on writers, writing, self-publishing, disruptive innovation, and the universe. Preditors & Editors – Highly recommended for new authors. Industry watchdog, scam alerts, and guide to publishers and publishing services for serious writers since 1997. Check here for a comprehensive, up-to-date listing of recommended and not-recommended publishers. Proofreader Louise Harnby’s blog for editors and proofreaders. Louise aims to provide information, advice, opinion, comment, resources, tips and knowledge sharing related to the business of editorial freelancing. Rachelle is a literary agent who provides balanced, sensible views and advice on what to expect if you’re planning on going the traditional publishing route and seeking an agent. Please note: I’m not personally connected with Rachelle and can’t help with submissions. Book marketing expert Dana Lynn Smith gives you tools you need to sell more books. Services available include, book cover design, casewrap design, book jacket design, text layout, barcodes, image scanning as well as design services for marketing materials such as posters, postcards, bookmarks and brochures. 99 Designs connects self-published and indie authors with freelance designers to create a professional-looking book or magazine cover. Set your budget, describe your ideas, and choose from proposals by 10+ designers. Worry-free book design for authors worldwide. Cover design and interior page design. I enjoy working with first-time authors who are self-publishing, as well as established publishers. I can also help you manage every stage of your publishing project from finished MS to finding a printer. Practical advice to help build better books. Download his free guide, 10 Things You Need to Know about Self-Publishing. Joel also provides exquisite, affordable book design templates (see below). Stephen’s first and only rule in book design is to make pages that convey the author’s words, not overshadow them. Book design templates for MS Word – By designers Joel Friedlander and Tracy Atkins. Professional-looking designs for the do-it-yourselfer. Turn your blog into an ebook – Ebook preparation from start to finish, by Paul Turnbull, author of The Art of Blog. Marketing tips for authors, including updates, tips, and 1001 Ways to Market Your Books. John Kremer’s much-visited site includes lists of book publishers and independent bookstores, as well as seminars and news reports. Brian Jud’s Book Marketing Works provides high quality marketing resources and services that enhance clients’ efforts to sell more books in non-bookstore markets. Giving aspiring authors a refreshing splash of self-publishing insight. This site provides a growing number of quality articles, tips, interviews, and advice from proven experts. Free newsletter provides tips and resources for self-publishers. A publisher and distributor that specializes in the development of independent authors and the growth of small presses by offering industry guidance, business development, and unmatched production, distribution, and marketing services. A book marketing firm founded by four women with decades of experience in all areas of the publishing industry. Book coaching, marketing kits, informative free articles, and more. Judy Cullins is a book writing, print, and e-book publishing and marketing coach. Providing help with completing your book to create more business, more lifetime income, and in making a difference in people’s lives. Many articles on book development, web marketing, and online promotion. NetGalley helps readers of influence discover and recommend new books to their audiences. NetGalley is an innovative and easy-to-use online service and connection point for book publishers, reviewers, media, librarians, booksellers, bloggers and educators. NetGalley delivers digital galleys, often called advance reading copies, or ARCs, to professional readers and helps promote new and upcoming titles. Professional readers – reviewers, media, journalists, bloggers, librarians, booksellers and educators – can join and use NetGalley at no cost. Sign up now for free! A small, independent publishing company dedicated to supporting the literary talents of African American writers in unique, creative, and positive ways. A publishing information source provider. A book by Suzanne Anderson. A complete guide to designing, printing, and selling your book. Finished writing your manuscript? WWR offers a package of services including synopsis, cover letter, and bio with which to approach publishers. Access Copyright – Canadian copyright licensing agency provides access to copyright-protected works. Barcode Graphics – ISBN barcodes and digital barcodes online for US$10.00. Business Development Centre – Canada – Visit the intellectual property office, order the e-guide, and learn how to register copyright in Canada. CIP Data (Canada) – Library and Archives Canada information includes FAQs, a user’s guide and online application forms for CIP data. CIP / LOC Data (United States) – Library of Congress services for publishers includes information about CIP data, ISSN numbers, and PCN numbers. ISBN – Canada – Library and Archives Canada ISBN information. ISBN – U.S. – Bowker is the only place to apply online for ISBNs, SANs, and ISMNs in the United States and Puerto Rico. Links to Australian and international ISBN agencies. Also includes links to Bowker’s Books in print and barcode suppliers. ISBN Q&A: Everything You Need to Know about ISBNs. By Robin Cutler. U.S. Copyright Office – Information on copyright laws and policy, how to register your work, and search for specific copyrights. I have mostly done children’s books but as I am also a painter and paint landscapes, urban architecture, portraits and magical realism I can easily do illustrations for other ages. Soizick’s brilliant book and writing-related artistry is appealing to anyone who loves books. But her imaginative scope goes far beyond the subject of literature. View her delightfully diverse portfolio, with more conceptual illustrations related to education, business, and surrealism here. Belle Wong is an experienced indexer. Clive Pyne’s book indexing makes the difference between a book and a good book. The Bookseller – Online magazine featuring a variety of up-to-date news from the publishing world. BC Bookworld – Canada’s largest-circulation independent publication about literature. ForeWord Magazine – independent book reviews. Independent Publisher – leading the world of bookselling in new directions. Marion Street Press, Inc. – essential books for writers and journalists. Publishers Weekly – print and online magazine with news, reviews, and information on the publishing industry in North America. Publishing Basics – articles for the independent self-publisher. Quill & Quire – Canada’s magazine of book news and reviews. Roundtable Reviews – book reviews and author interviews for and by book addicts. The Writer’s Life – an online interactive writing and writing resource magazine. Writer’s Digest – online guide to the writing life. WriterAdvice – Read author interviews and much more in this e-zine for writers. Writers Write – information about books, writing and publishing. Blitzprint is a one-stop book printing solution, both digital and offset. Blitzprint can help you get your book published without the up-front fees and royalty system of a publishing services company. A group of printing professionals offering a combination of equipment, personnel, and financial strength that would equal one of the top ten printers in the US. With a focus on first-time authors. Sign up for our newsletter, Publishing Basics. One of Canada’s 50 best-managed companies. Specializing in affordable, high-quality book manufacturing and printing. Ingram Content Group Inc. is the world’s largest and most trusted printer and distributor of physical and digital content. Walsworth Publishing Company is one of the 50 largest printing companies in the US (and one of the top 10 book printers). We provide high quality print jobs and an experienced, knowledgeable customer service team. Successful author and publicist Penny Sansevieri will provide you with expert support and coaching for all your media relations, promotion, and publicity needs to get your book out there—and selling. Whether you need an entire campaign or just some great tips, she’ll have your literary needs covered. Julie Ferguson of Vancouver provides services and advice to improve your chance of getting published. Carole assists authors in navigating the self-publishing process. She also helps with book marketing activities. Specializing in nonfiction inspirational, spiritual, and self-help books. David J. Litvak, a publicist, writer, and broadcaster, established Cascadia Publicity to provide exposure and generate publicity for creative endeavours of all kinds. Giving his clients wider visibility and a higher profile in the marketplace for their projects is his main objective. Judy Cullins is a book writing, print and e-book publishing and marketing coach. Help with completing your book to create more business, more lifetime income, and assist you in making a difference in people’s lives. Many articles on book development, web marketing, and online promotion. Leverage traditional publicity tools with exciting new online opportunities that maximize your chances of securing the widest possible coverage for your book. A full-service book publicity firm with two decades of experience in promoting trade books in all genres. Alliance of Independent Authors – ALLi’s up-to-date book, Choosing a Publishing Service 2013, is an excellent, unbiased resource for new authors. Baker & Taylor is a leading distributor of books, videos, and music products to libraries, institutions, and retailers. One of the Internet’s leading sources of multicultural and cutting-edge titles, focusing on joint-venture publishing and self-publishing assistance. Offering tools, advice, and resources to help you through the publishing process. Bowker is the official ISBN agency in the US. For 19 years, Callawind Book Publishing has produced beautiful, bookstore-calibre cookbooks, children’s books, and more—for self-publishing authors, businesses, and organizations. Amazon’s self-publishing service. Provides tools, quality printing, booksellers, e-book distribution, and marketing strategies. Providing you—individuals, corporations, and other organizations—with the services you need to produce the book you want. Greenleaf Book Group is a publisher and distributor that specializes in the development of independent authors and the growth of small presses by offering industry guidance, business development, and unmatched production, distribution, and marketing services. Harbour Publishing/Douglas & McIntyre – specializing in books from the Pacific Northwest. We bring quality books to market. We provide great author support, offer superior bookstore terms, provide marketing help for authors, and have the best direct-sales website around. Your book will be available worldwide, and have real potential to be the vehicle for your success. Provides hard- and softcover print, distribution, and digital (e-book) fulfillment services. Highly reputable. We offer a complete range of services to authors who wish to publish their own book including editing and print-on-demand services. Poseidon Books will do as much or as little as you would like. A Canadian publisher and distributor based in Vancouver, BC. Raincoast Publishing, which includes the Polestar imprint and key titles from Press Gang Publishers, produces a wide range of fiction and nonfiction titles for adults and children. The University of British Columbia’s academic press. Wheatmark can help you write, edit, design, publish, and distribute an exceptional book or e-book. At Nordic International we are your Nordic/Scandinavian business communication specialists. Professional Spanish Translation – Leader in Spanish translation services and multilingual translations. Proven quality at the best prices. Professional Russian translation services. E-mail John Puckett at john_puckett@hotmail.com. AbeBooks – The world’s biggest online used bookstore. Find almost any used, rare, or out-of-print book in the world. As of July 2008, Abebooks listed more than 100 million books on sale from 13,200 booksellers in 57 countries. New and Used Textbooks – Biblio has millions of college and high school textbooks at an average of 40% less than retail textbook prices. RentBooks – Textbooks are cheaper when you rent. Sell your books on this site too. Kelowna Website Design is an affordable, creative website development company with a positive, “we can do it” attitude. A good choice for custom WordPress websites, wherever you live. WebsiteSetup will give writers who have zero technical knowledge the ability to create their own beautiful website in a fast and simple way. Having a beautiful website will give writers an online platform from where they can share their best work (i.e., books they’ve written) with their audience as well as have an online base from where they can update their fans with whatever they are working on. At one time, thousands of dollars were needed to get a professional website up and running, but with this guide you can get exactly what you want for almost nothing. Alandale Training has been providing computer training in Vancouver and throughout BC since 1995. Their hands-on, instructor-led courses stress shortcuts and features that will help participants improve their productivity. Contact FullTech certified consultants for Mac help in Vancouver, ranging from in-home setup, troubleshooting, and tutoring to more extensive networking, integration, and other solutions for business Macintosh users. Banned for Life – Tom Mangan’s collection of reviled news media clichés. Send your submissions of hackneyed words and phrases. The Bulwer-Lytton Fiction Contest – home of the world’s worst fiction. The Literature Network – searchable online literature for the student, educator, or enthusiast. Luciferous Logolepsy – a collection of over 9,000 obscure English words. Maledicta Press – the journal of uncensored language (caveat surfor!). Mrs. Byrne’s Dictionary of Unusual, Obscure, and Preposterous Words. Hours of fun reading a dictionary! The Oxford Dictionary Online – the world’s most venerable, venerated dictionary. The Phrase Finder – an index of phrases, sayings, quotes and clichés. Project Gutenberg – the oldest producer of free electronic books on the Internet. Rhetorical Terms – the University of Kentucky’s exhaustive glossary of rhetorical terms, with examples. Richard Lederer’s Verbivore – the web site woven for wordaholics, logolepts and verbivores. Wiktionary – a collaborative multi-language dictionary project. Wikipedia – a free-content encyclopedia in many languages. WordWizard – a site devoted to English word or phrase origins. World Wide Words – writing about international English from a British viewpoint. Your Dictionary – a quick online dictionary and thesaurus lookup. If you have a website related to book publishing, writing, marketing, or any of the categories you see above and would like to see it listed here, contact me. I’m always seeking new resources, tips, and information for my authors and will be pleased to provide you with a link. And if you see your site here and would like to add a more detailed summary of your services, just let me know. courses, Business connections Blogroll Book designers Book marketing Copyright E-book publishers and resources Illustrators Indexing Newsletters and magazines Printers Publicists Publishers Translators Used books and textbooks Web designers Words about words Link to me!